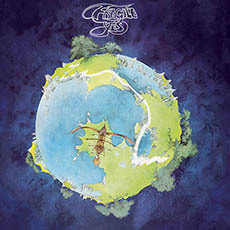 Fragile is the fourth in a series of remixed & expanded Yes Classics. The album has been remixed for 5.1 Surround Sound and Stereo from the original studio masters by Steven Wilson & is fully approved by Yes. Release date: Oct 30th 2015 as Deluxe BluRay-CD package (has the most features) or Deluxe DVD-A-CD package. More details below. For best quality audio playback, press the play button (the ► in the middle of the window) and then set the YouTube quality to 1080p HD by clicking the ‘Settings’ cog at the bottom right of each window. – Album mixed in 24-96 5.1 PCM Surround Sound & in DTS-HD MA 5.1 from original multi-track sources. – Original Roger Dean artwork expanded & restored with material from the Roger Dean archive & with full approval of the artist. – Presented as a 2 x digi-pack format in a slipcase with new sleeve notes by writer Sid Smith along with rare photos & archive material. – US promo singles edits as needle-drops. – Album mixed in 24-96 5.1 DTS Lossless Surround from original multi-track sources. In addition to the main album, Steven unearthed a virtual treasure trove on the multi-track tapes, allowing him to mix full length & acapella versions of “We Have Heaven”, an earlier take of “South Side of the Sky” & – in perhaps the most exciting discovery of this series to date – a previously unheard segment of a piece now called “All Fighters Past” which incorporates ideas that would later form parts of “The Revealing Science of God” (Tales from Topographic Oceans) & “Siberian Khatru” (Close to The Edge) performed in the style of Roundabout! With a further two additional tracks – alternate takes of “Roundabout” & “Mood for a Day” & numerous exclusive to Blu-Ray edition features, including the complete album in instrumental form mixed by Steven Wilson, this is the definitive edition of Fragile. With Fragile – the fourth album by Yes, Jon Anderson’s wish was fulfilled. Recorded in September 1971 following rehearsals a month earlier Yes was, by this point, on something of a roll. 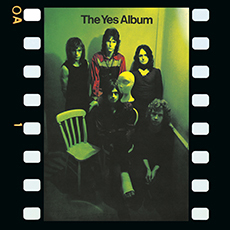 The Yes Album had been a chart success in the UK & had started to make inroads in the US album charts following a highly successful tour there. The challenge – to take the band to the next level of success – had to be met quickly to build on that momentum. 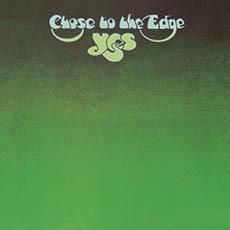 The Yes Album was both the peak & natural end point of the first period of Yes album recordings. It had marked the arrival of Steve Howe, the expansion into long-form material & with a final date at London’s Crystal Palace Bowl, the departure of keyboardist Tony Kaye. His replacement, ace session player & Strawbs member, Rick Wakeman, completed what came to be regarded as the first classic Yes line-up. Wakeman brought with him an expanded array of keyboards, including a Moog synth & Mellotron & proved every bit as strong a soloist & arranger as Steve Howe. With this line-up, Yes was ready for the big league. Released in Late 1971 in the UK & at the beginning of 1972 in the USA, the album reached the Top 10 in both countries (7 UK, 4 USA). With additional impetus from the hit single “Roundabout” in the USA – a track which became a radio staple – the album quickly reached platinum status & went on to sell millions over the past 44 years. The album’s long form pieces were presented in a running order which allowed for the placement of solo led tracks by each of the five members, a novel way of presenting an album that merely enhanced the reputation of the band as a group where each member could be viewed as band member & star soloist in their own right. Tracks such as “Roundabout” & “Heart of the Sunrise” have rarely been out of the live set-list & the album was performed in full by Yes in venues worldwide in recent years to unanimous standing ovations. 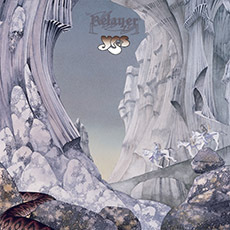 Another key factor in Yes’ history was the fact that the album occasioned the arrival of sleeve artist extraordinaire, Roger Dean, a man who would go on to design logos for the band – including the famous ‘bubble logo’ – stage sets & numerous album sleeves & and artist who, despite having provided equally dramatic sleeves for numerous other bands, is always most readily associated with his work for Yes. In keeping with earlier releases in this series, Steven Wilson’s approach to this album for new stereo & 5.1 mixes is to faithfully retain the spirit & sounds of the original album mix, while applying modern mix techniques to bring further clarity to the individual instrument, vocal & overdubs for each track. The songs, instantly familiar to a multitude of Yes fans, remain so, with the new mixes – especially in 5.1 form – providing a greater sense of space for each voice to be heard, Anderson’s voice seems to join the listener in the room, Howe & Wakeman’s solos glisten with clarity & Bruford/Squire remind all that they were unmatched as a rhythm section during that period.